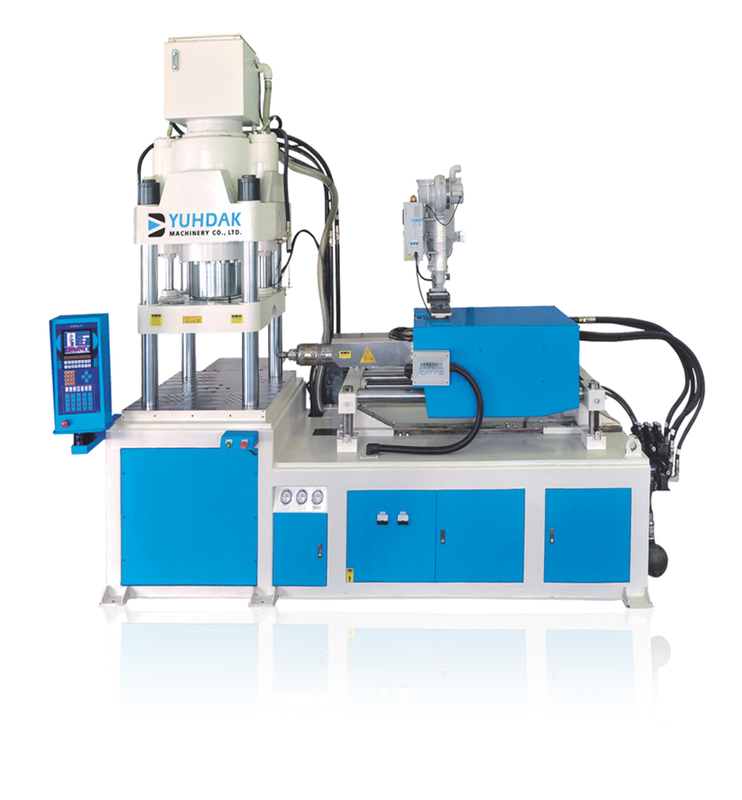 Fixed mold (V) and the two sliding mold (2S) adopts four-column vertical pressure clamping for horizontal injection. Strong mechanical structure allows greater endurance for clamping force up to 500~ 800TON. 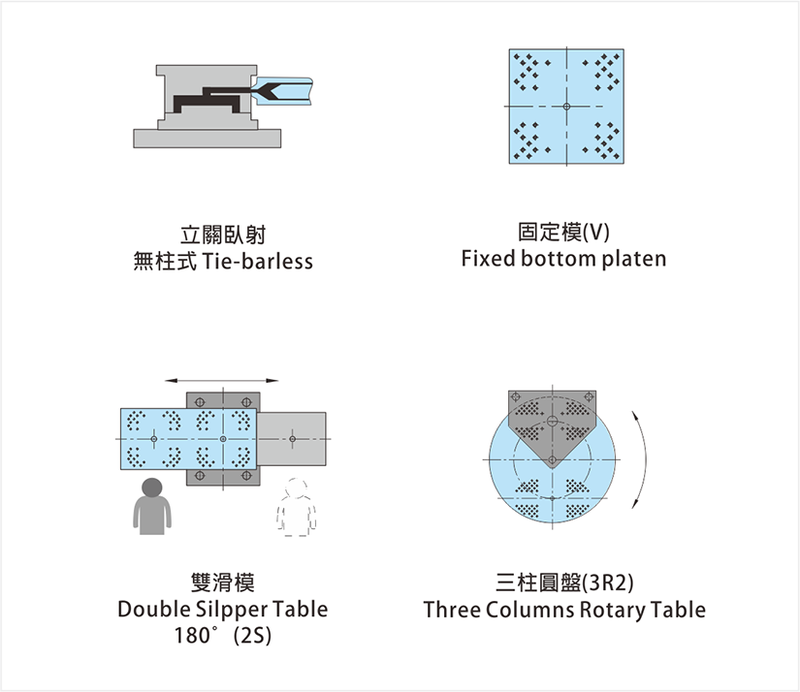 ─Two slide mold (2S) ─ (alternating two slide mold): One mold is in injection molding and the other is outside for removing and placing mosaic pieces. Operation safety and production efficiency is high.